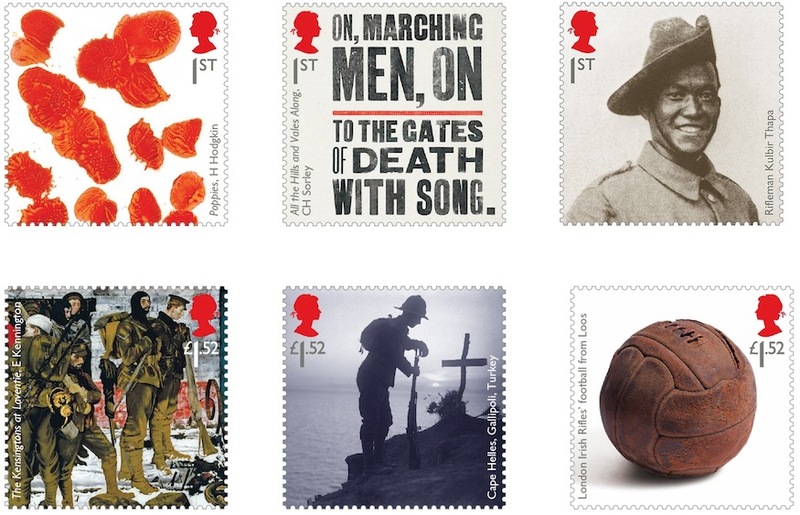 This year's stamps marking the Centenary of World War I are due for release on 13 September. But the Commonwealth Stamps Opinion blog reports an early release offered for sale on an internet auction on 28 August! Given that many Post Offices don't use higher values it's surprising that this is the £1.55 value, rather than a 1st class. See more here. 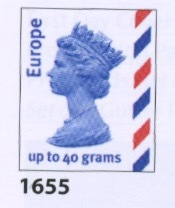 If you're interested in Post and Go, Commonwealth stamps, thematics, or provisionals, the latest epistle from WhiteKnight also includes the latest Post & Go from Guernsey, and some provisional surcharges from The Republic of South Sudan. If you are tired the easy task of collecting GB stamps, you could do worse than look for commercially used covers from smaller African nations. They must be scarce! Royal Mail's Latest Revenue Protection Tool - Not Quite Enough! Yes, the latest tool to be deployed in Royal Mail's fight against counterfeit and fraudulent stamps is Stanley Gibbons Collect British Stamps 2018 (CBS). 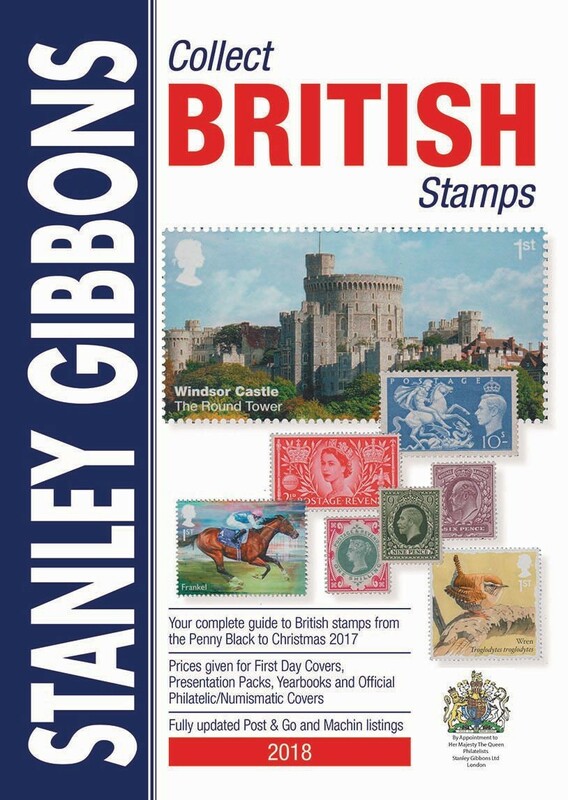 The "ideal reference book", the "indispensible up-to-date guide for all GB collectors" has been provided to Royal Mail's revenue protection teams across the country. Two dealers in different parts of the country have mentioned this to me while citing how perfectly valid stamps they have used have on mailings to customers have been surcharged for the use of counterfeit stamps! I reported in May that Royal Mail had set up two pages on their website on the subject. 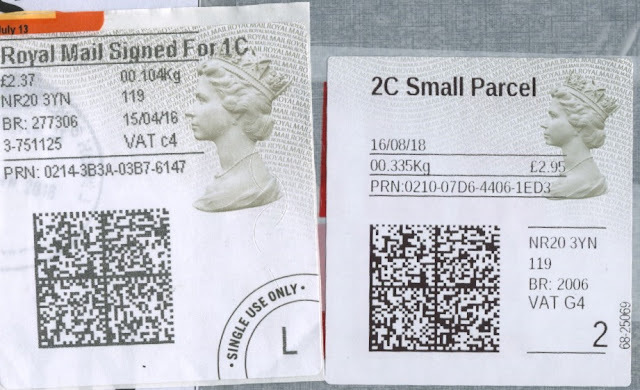 One has guidance to customers who may have bought stamps from sources other than Royal Mail or Post Office, on what to look out for to make sure their stamps are genuine (see below). Many people commented that the advice was too simplistic, appearing to validate some that we know are forgeries (see right) while failing to describe many pre-security stamps that are still valid and which don't have the features described. So how will CBS help Revenue Protection teams? Very usefully it illustrates all commemorative and special stamps which, given the vast number of stamps that has been issued over the last 40 years, postal workers could be forgiven for not remembering them all. However, where the system falls down is when it comes to definitives. Few of these are illustrated in CBS but the ones that are are shown below. (Numbers are SG illustration or 'type' numbers.) So why did Revenue Protection not recognise the dark blue 'E', and the 1st self-adhesive horizontal booklet stamps? My belief is that they didn't look for those because, after all, they know what definitives look like, don't they? They see them every day. They include 1st and 2nd (and Large) and some with monetary values. 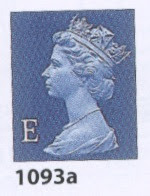 Why would they look up the horizontal stamps (issued in 1993/95) or the 'E' or airmail stamps (issued in 1999 & 2003-10), and where would they look? These are scattered through the catalogue, rather than being all in one place. 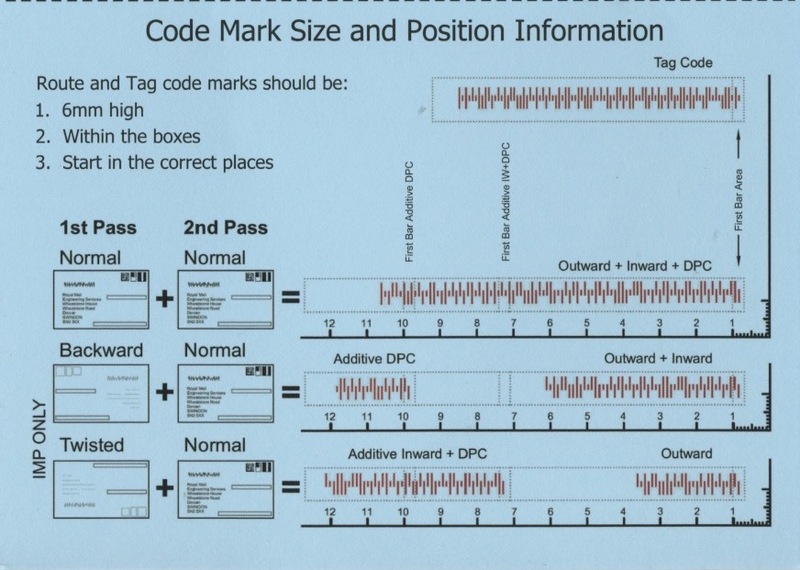 And apart from the two PIP and the horizontal stamps shown above, the 1st and 2nd class are not shown at all! So what about the black & Millennium 1st class, and the dark blue 2nd class? Books of stamps with anything other than 6 or 12 stamps included. 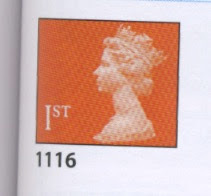 Royal Mail only sell 1st and 2nd class stamps in books of 6 and 12. All this makes life difficult for dealers and collectors who resell stamps for postage. The odd one or two on social mail would almost certainly slip through unnoticed. But the customers of a dealer or business preparing a bulk mailing of even 20-30 letters using unused spares of these might be in for a shock. So, good effort, Royal Mail, but certainly not 10/10. 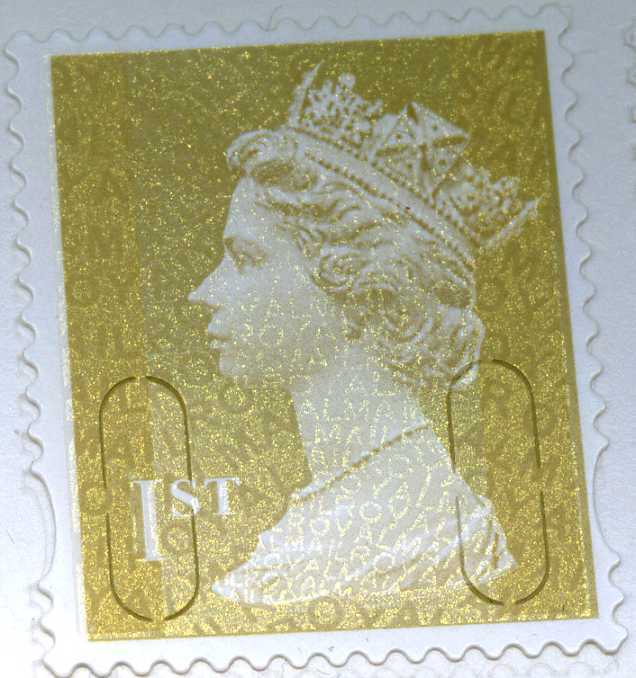 Collectors and dealers hold thousands of pounds-worth of these stamps and - believe me - many of them will be used eventually because there are insufficient new collectors wanting to buy them. So time for Royal Mail Revenue Protection to be given a little more guidance on the good and the bad. UPDATE 26 SEPTEMBER 2018 - CLOSURE/RELOCATION ANNOUNCED. Most readers will be aware that the vast majority of this year's Machin definitives that are likely to appear have been issued from Tallents House or made an appearance in Post Offices. In fact in the last couple of months, especially during the hotter periods, the lack of new stamps has given us a welcome respite from the office. Following my comparison of the UK's stamp press new issue announcements last week one of the editors asked me if it was a 'slow news day'. Indeed it has been. 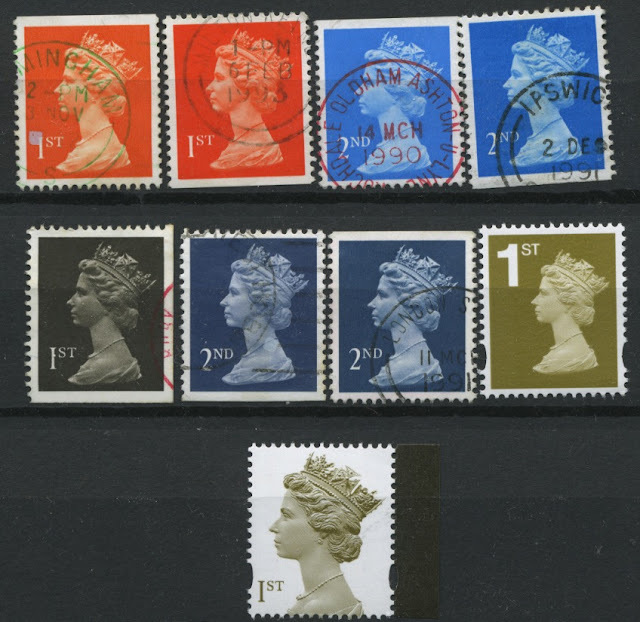 year - are the 1p, 5p & 2nd class Large counter sheets, the 2nd class Large business sheet, and the 1st class from a prestige stamp book (PSB). 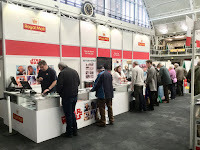 So in three weeks at Stampex, Royal Mail will issue the remaining counter sheet stamps on Wednesday 12 September, including the 2p which missed their spring delivery but which we have had in stock for some time. 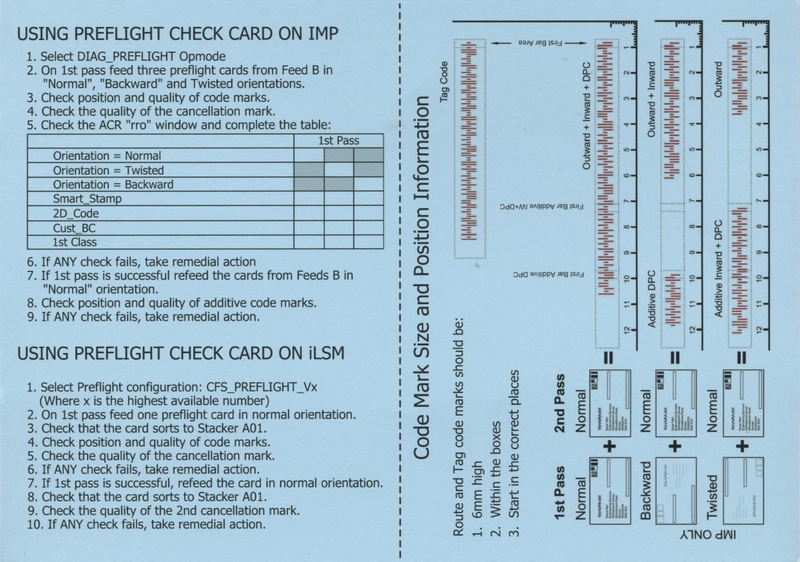 On Thursday 13th, the World War I Centenary PSB will include the 1st class coded MPIL M18L. 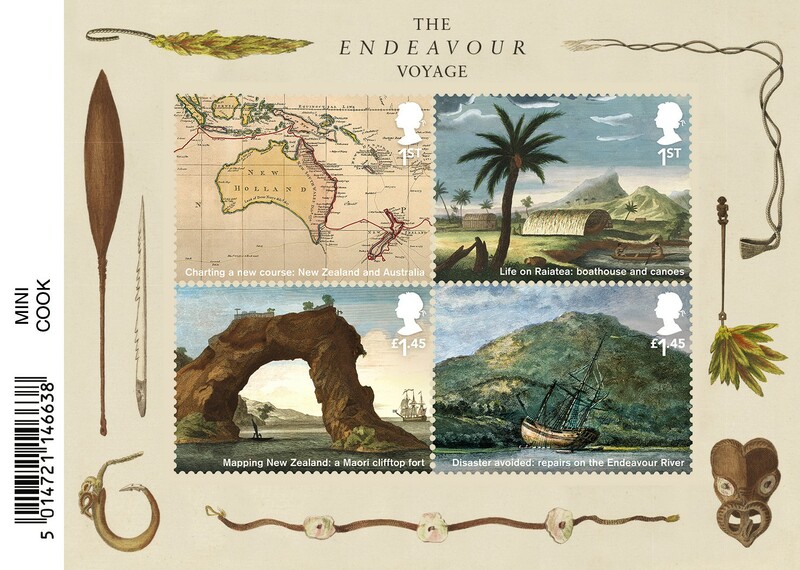 Any customers who require first day covers of these stamps please let us know immediately. 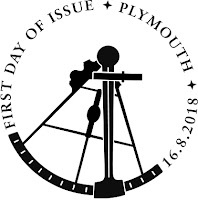 For the counter sheet stamps detailed catalogues will say that the (official) date of issue is 12 September although it has been available since May. Because of this we will include the 2p on FDCs unless you request that it is left off! 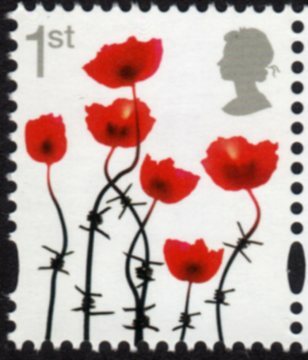 Comparing the Poppy stamp in this year's PSB with that in the previous WWI books (2015/6) it seems to be identical, except that on the latest ones we have the poppies and stems are slightly more to the right than before. So this will not be included on FDCs. 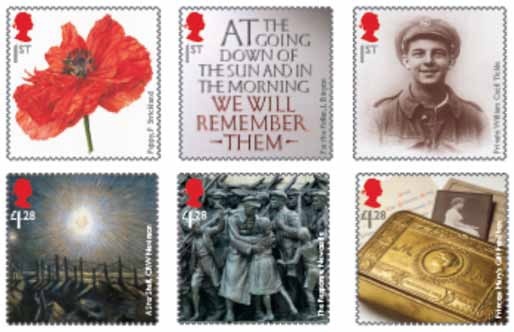 Also included as part of the WWI set will be a mixed-content retail booklet, but as that contains 1st class stamps coded MCIL M18L - already included in several booklets this year - that is not a new stamp. Also in today's post was a letter from the London area. I thought about putting this picture as a quiz question but I know that our readers are a knowledgeable bunch, so I'll save time and cut straight to the answer! I haven't seen one of these used on new mail for many years, but at one time they were seen every October when the General Post Office conducted the mail census - machines counting the number of letters being processed through the sorting machines. 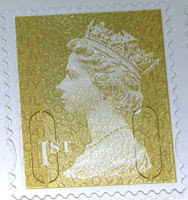 Once counted, this diamond postmark, usually without wavy lines, would be printed at the foot of the envelopes, the stamp having been cancelled in the usual way. 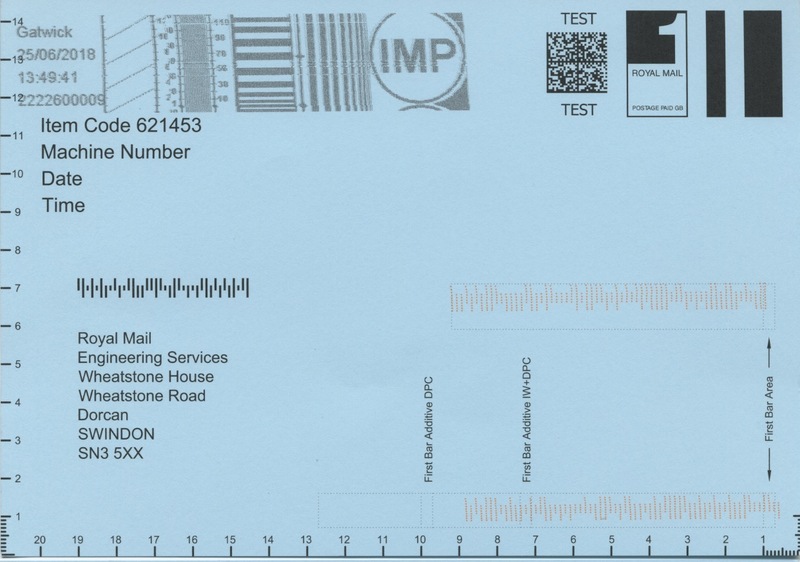 This was posted in north London, and I would normally expect a Jubilee mail centre postmark - either a packet or ink-jet. Although this has a Large Letter stamp, that is from thickness: it's a 190 x 125 mm envelope so easily machineable. I wonder what the circumstances were that not only could it not be put through the IMP or iSLM (whichever they have at Jubilee - I can never remember! ), but they had a Universal machine operational and ready to use. It can't have been the only mailpiece processed in this way: maybe it is a new procedure for dealing with skips, or uncancelled mail that would otherwise receive a pen cancel. We've been told that improved quality assurance would mean that Mail Centres would monitor cancellation as well as throughput: perhaps this is the answer? There hasn't been much new to report about Horizon labels of late, and general interest in Post and Go has declined, but on a package containing my new Apple Magic Mouse today, there was a postage label which had me puzzled until I looked back through the blog and remembered the introduction of the horizon-like labels on Post and Go machines or Self-Service Kiosks, first mentioned here. I don't think I had specifically mentioned that the newer labels are smaller than Horizon labels, which is what attracted my attention to the one on today's package. The horizon label is 59 x 64 mm and that from the SSK is 56 x 60 mm. The SSK label as MA17 behind the Queen's head just below the tiara. The one shown earlier was MA16, and may have been a greener shade, but that may have been a scan setting difference. Now the task is to remove this new one from the parcel to keep as a record! Stampex: World War I Centenary, and Post and Go Mail by Bike. 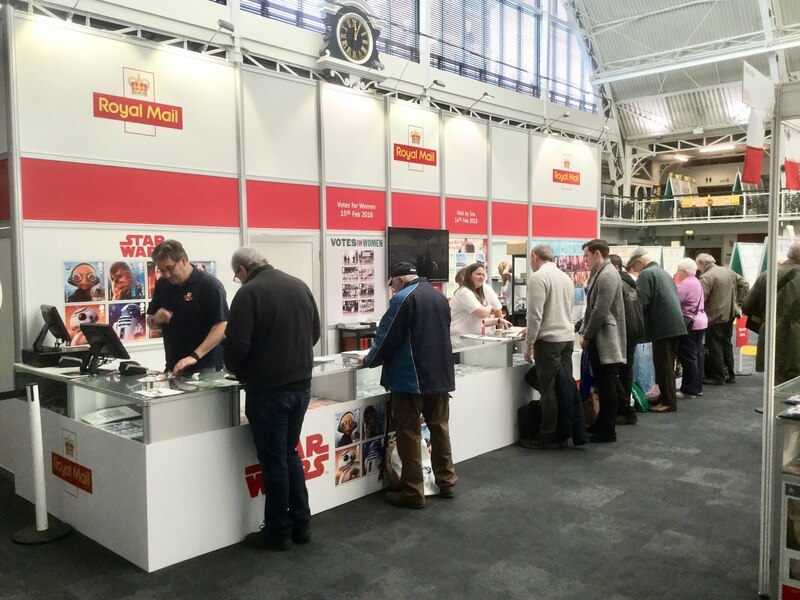 An update on Royal Mail's plans for Autumn Stampex, held this year from September 12-15 at the Business Design Centre, Islington north London. As in spring, there will be no Royal Mail Post and Go kiosk at Stampex so there will be no special printing for the Mail by Bike issue on 12 September. The stamps will be in the machine at the Postal Museum so there will be a special inscription there. We understand (not from Royal Mail) that the island Postal Administrations will bring their Post and Go machines. Guernsey will have a commemorative inscription for the Royal Air Force Centenary on their flag stamps. The flowers issue will be available without additional inscription. 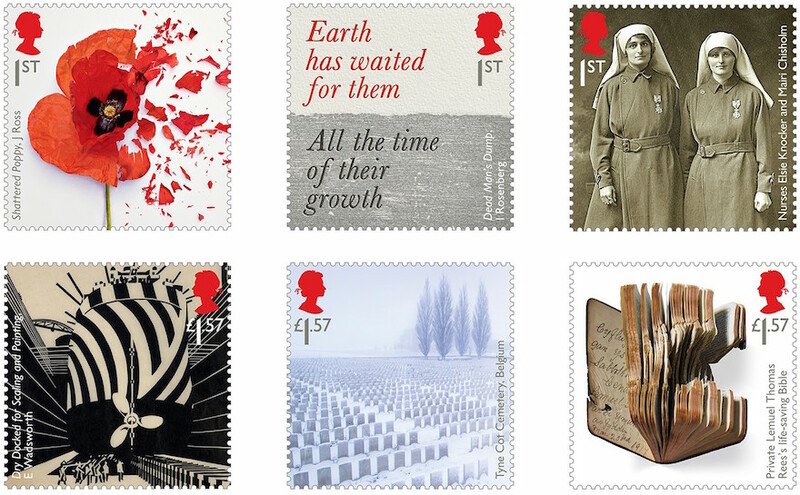 The RAF/Flag stamps will also be available from their bureau. Jersey Post will have a new set showing Nautical Knots which will also be available from their bureau. At Stampex they will also have a RAF Centenary inscription on their flag stamps; this will also be available from the bureau. 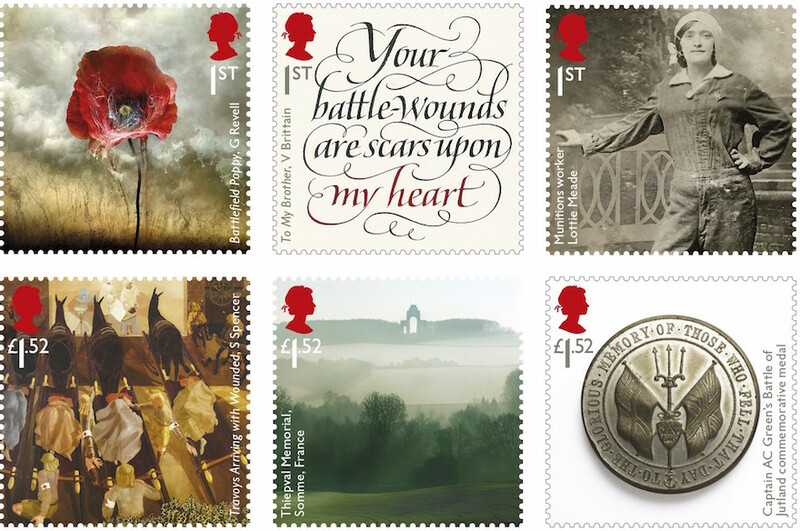 The final set in Royal Mail's five-year series will be issued on 13 September and for the first time include a retail booklet. This will contain the usual Machins (coded M18L MCIL) and two different Poppy stamps. 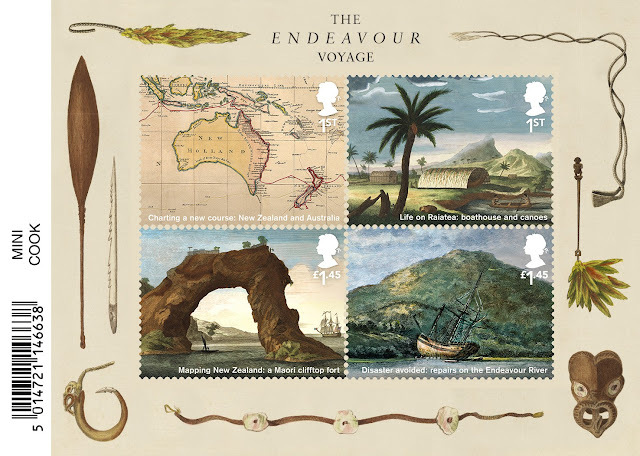 Royal Mail will also be issuing a Composite Sheet containing all 30 stamps in the series, at their original face values. These are shown on two FDCs on the Buckingham Covers website. 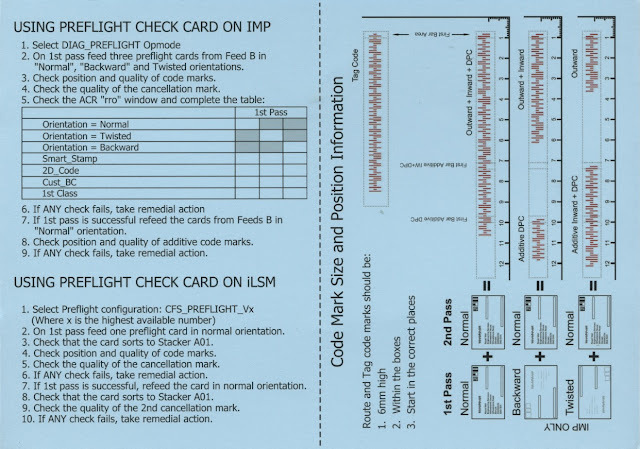 This is a limited edition sheet which will not be distributed on standing orders. Royal Mail have reminded collectors preparing FDCs that only one handstamp can be used on any one date, and that the official day of issue postmarks can only be used on the new stamps. Therefore any FDCs of the Composite Sheet can only be cancelled with an operational or a sponsored handstamp. This would, of course, include the WWI Centenary and National Arboretum variable date handstamps shown on our website. 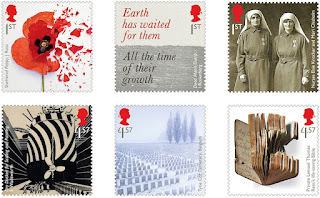 In the comments on this year's First World War stamps I answered some questions about Royal Mail's embargo policy for new issues. The three British stamp magazine' editions for September illustrate this perfectly. 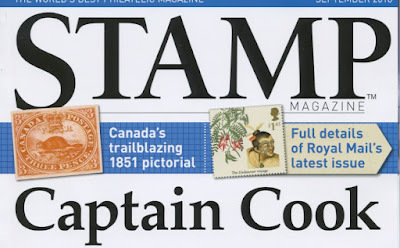 First to arrive was Stamp Magazine on 7 August, a few days after the 2 August embargo date for the James Cook Voyages stamps. This was swiftly followed by Stamp & Coin Mart on 8 August which - despite being well within the period allowed for publication - doesn't include the Cook stamps, but gives full details of the Hampton Court issue which didn't make it into the August issue. The problem for the printed media is worse even that for bloggers and website dealers. With longer lead times for printed material they have to try to match the planned distribution dates for their magazines with the precise but variable* embargo dates announced by Royal Mail. (* precise in that the date is specific, but variable in that the period may be just after the magazine publication date. - October surprise (embargo 18-25 Oct) not in the November issue, so December due 7 November. - Christmas (embargo & issue 1 Nov) in the December issue. - Prince Charles 70h (embargo & issue 14 Nov) not until the January issue due 5 December-ish, three weeks after issue. I know print editors are not happy with being unable to provide readers with information about new issues before they appear. Are there so few buyers of new issues that it really doesn't matter if collectors don't find out about them until Royal Mail's own publicity machine cranks into action? 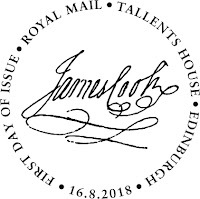 Of course all the mainstream media will cover Prince Charles' birthday stamps because they do push royal memorabilia - unless some sort of disaster, natural or political, pushes the stamps well inside the papers, in which case Royal Mail PR team will shrug and say that there is nothing they could do about it. 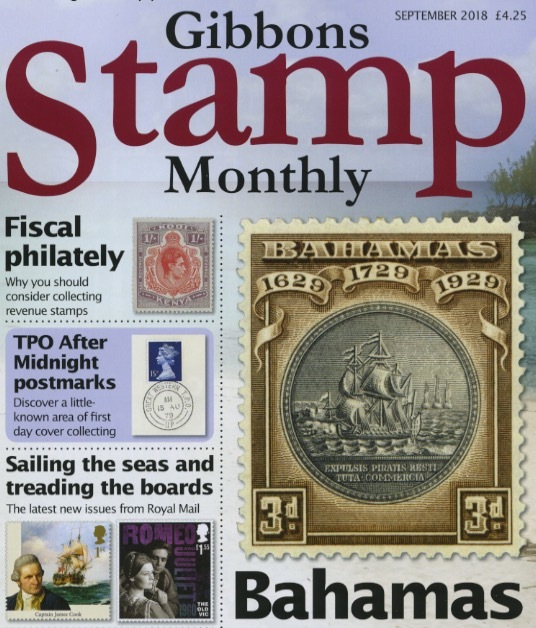 But for the collectors who are still interested, if they can't get it from websites and blogs, you would think that they could still trust their favourite philatelic magazine to get them details before the issue. August gets off to a flying start with the first slogan postmark being another literary one. I have been told (thanks JE) that Henry Perry didn't win the prize, the winner was Adam Nicolson, for his book The Seabird’s Cry. Apparently Henry Perry is a Royal Mail External Relations Manager and the Postmark Programme Manager, whose name was presumably used in drafting the slogan text, and it was the draft which was transmitted to Mail Centres. 8 August 2018: What may be the first in a series has been sent by DP. Unfortunately it is on a Post and Go stamp so the date details are unclear, although Norwich can be clearly discerned. There will be others around to confirm the date of use, I'm sure. This one is also from Norwich, on a letter I posted yesterday 7 August to a customer. 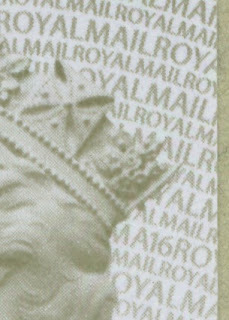 This was a c5 envelope and although the overall height of the Royal Mail/wavy line portion seems to be the same, the lettering on at least the first two lines of the slogan are noticeably larger. We now have some better examples of the Amiens 100 slogan, all used on 8 August 2018. First the small example from Aberdeen (not often represented here); the large example from Swindon; and the other layout from Romford Mail Centres. Update 21 August: Today I had an incomplete but identifiable Amiens100 postmark from Cumbria Dumfries & Galloway dated 20 August. This is either a late usage, or this has been an unusually long campaign. Does anybody have any other dates since the start of the campaign? Update 29 August: BM has sent this clear postmark from Gatwick MC on 24 August nicely placed on a WWI stamp - but then ruined by unnecessary marker pen vandalism by Royal Mail. Update 31 August - received another today from Southampton, Portsmouth & IOW dated 29/08/2018. Looks like we may not get any more slogans in August....... except late uses. UPDATE 31 August: Thanks to HW who has sent the Tyneside example of RA250 used on 29 August! As usual, all August slogans will be added to this post, so please check here to save your time scanning slogans which have already been reported.